Redang Island, Pulau Redang or just “Redang” is one of the largest tropical islands off the east coast of Peninsular Malaysia. The idyllic isle is blessed with talcum powder soft white sandy beaches and crystal clear azure waters rich in colorful fish and bountiful coral. 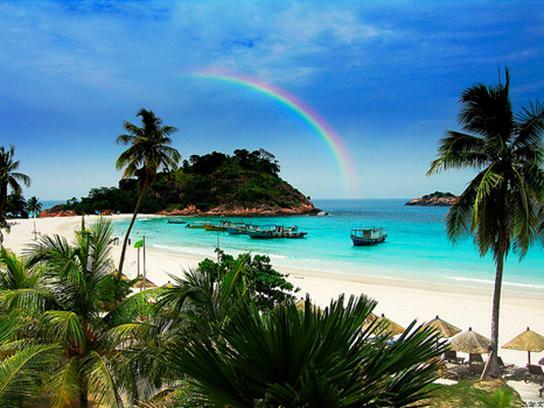 Since Redang’s part of a protected marine park, it offers some of the best diving and snorkeling in the region. There’s something for everyone in this ultimate tropical paradise — get active with water sports, spend a leisurely day lounging in a hammock while sipping cocktails on the beach, or explore the complex flavors of traditional Malaysian cuisine. Where to stay? Without a doubt, you’ll want to book at the island’s top luxury property, The Taaras Beach & Spa Resort. How to get there? Fly Berjaya Air direct from Singapore or Kuala Lumpur. Bon Voyage!